Booker led from straight to finish to upstage Catchy in the 2017 Thousand Guineas Prelude at Caulfield this afternoon. Dwayne Dunn took Booker straight to the front in the early stages of the Thousand Guineas Prelude, while Craig Williams elected to settle Catchy at the tail of the field. Booker got tired late and both Shoals and Catchy loomed down the outside, but Dunn timed his ride to perfection and Booker was able to hold-off her rivals. Dunn was quick to pay credit to the toughness that Booker showed in the final stages of the Thousand Guineas Prelude and he believes that she is a genuine winning chance in the 2017 Thousand Guineas in a fortnight. “She has a speed pedigree, but she showed a lot of stamina there,” Dunn said. “Coming around the bend she was under a fair bit of pressure and she wanted to lay out a little bit in the straight, but it was a good effort against some top quality fillies. “Today we wanted to take the race by the scruff of the neck and because she is going up to the mile next time we wanted to make sure that she could run it. Co-trainer Matthew Ellerton is unsure whether Booker will handle the step-up in trip to 1600 metres, but he confirmed that the talented filly will take her place in the Thousand Guineas at Caulfield on October 14. “She did a bit of work early and she was good enough to hold on,” Ellerton said. “She is a filly that doesn’t get under much pressure at home and she is probably still learning to let down. 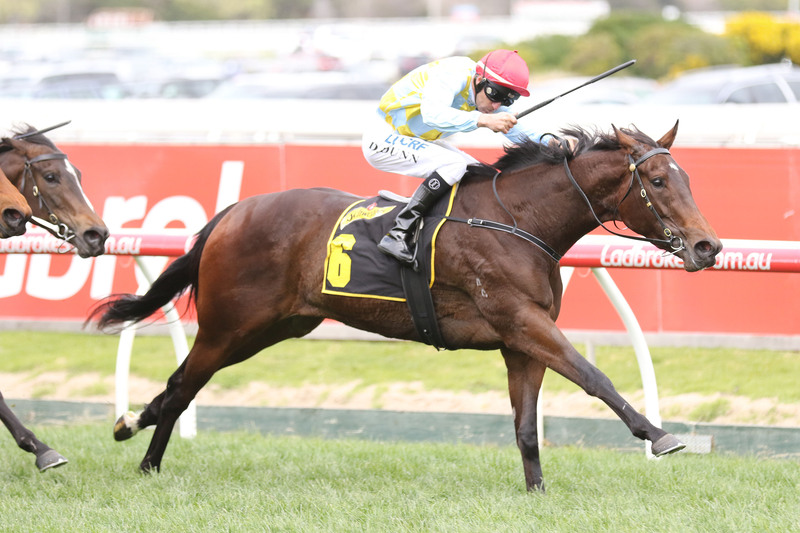 Anthony Freedman confirmed that runner-up Shoals will press on to the Thousand Guineas in a fortnight, while the Lindsay Park team are keeping their options open and could still run Catchy against the boys in the Group 1 Ladbrokes Caulfield Guineas.